Executive Vice President of Football Operations John Elway released a statement as the Broncos and former General Manager Brian Xanders have parted ways. The Broncos have confirmed that GM Brian Xanders is out in Denver. Mike Klis of the Denver Post first reported the news that the Broncos and Xanders have "mutually decided to part ways." "It was tough because I have a great deal of respect for Brian as a football man but also as a person," Elway told Klis. "Even more so as a person. He was very helpful to me in this first year getting acclimated back to the NFL. I owe him a lot. Just from the conversation we had, we just thought for his career and for the Broncos we felt that now was the best time to go a different way." 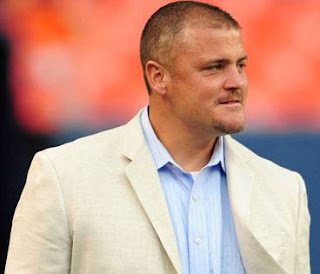 "Brian deserves a tremendous amount of credit and recognition for the contributions he made to the Broncos during his four years with the organization," Executive Vice President of Football Operations John Elway said in a statement. "His hard work and dedication played a major role in the recent success of our team, most notably last season’s division title and playoff win. "Brian and I had a very productive conversation earlier today. Although it was an extremely difficult decision, it became clear that it was best for both the Broncos and Brian to part ways. I believe a change to the structure of our football operations will be mutually beneficial, allowing the department to improve its efficiency while affording Brian the opportunity to continue his promising career with another NFL team." It can be called anything they want, but Xanders is being fired. Hired in 2008 by Mike Shanahan, Xanders survived two regime changes. Josh McDaniels named him GM in 2009, but he never had e final say authority on the roster under Shanahan, Josh McDaniels, or John Elway. "Brian has a great heart and is a loyal guy. He's the type of guy who would give you the shoe off his foot. 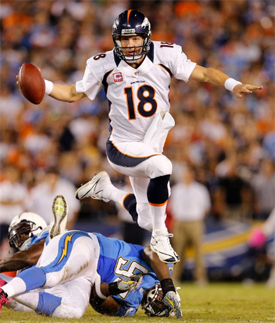 This is the worst part of this business," Elway said. 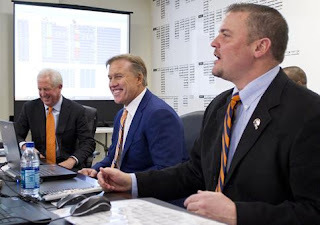 Elway systematically changed the team's front office structure this offseason. He promoted Matt Russell from director of college scouting to director of player personnel. He hired Mike Sullivan to be in charge of contract negotiations. Xanders was left without a role worthy of the GM title. There is no word as yet regarding any replacement of Xanders and I doubt there will be one. "It is a streamline; we're not adding anybody," Elway said. If anything, it is surprising Xanders lasted so long. Most personnel men in similar positions do not survive coaching changes. Xanders' track record was spotty. The last draft under Mike Shanahan was not strong. Xanders and McDaniels' first draft together was disastrous. Things improved dramatically in 2010-2011, but it's unclear how big a role Xanders played in the draft picks. "John and I had a lengthy conversation today and we mutually decided to part ways for the best interest of my career aspirations," Xanders said. 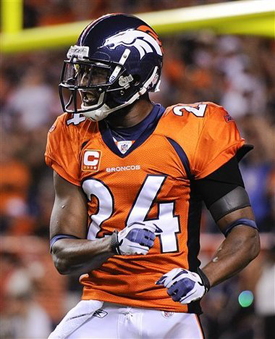 "I appreciated everything that Pat Bowlen has done for the Broncos and for bringing me here in 2008. It was great working with Coach John Fox. I'm telling you, he's a great coach to work with. And it was great working with John Elway." Xanders started his term in Denver as an Assistant GM in 2008 under Mike Shanahan When Shanahan was fired, Brian replaced him as the GM under Josh McDaniels. Xanders entered his 19th NFL season and fourth as the general manager of the Broncos in 2012. Prior to his time with Denver, he spent 14 years with the Atlanta Falcons in a variety of coaching, player personnel and football operations positions. He was a member of Atlanta's defensive coaching staff during the club's run to its first-ever Super Bowl berth (XXXIII). The Broncos are further removing themselves from any part of past regimes. 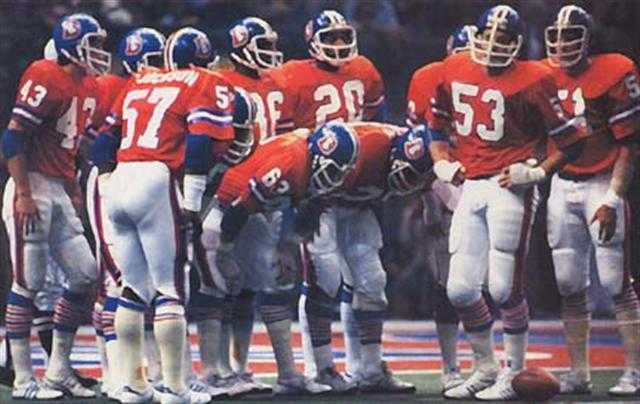 Clearly they are becoming John Elway's team once again. Elway said the decision was a tough one. "My responsibility to the Broncos and our fans is to build a championship football team," Elway said. "The setup we have throughout every phase of our football operations will better position us for success going forward. "Making a change with someone of Brian’s caliber is not easy. 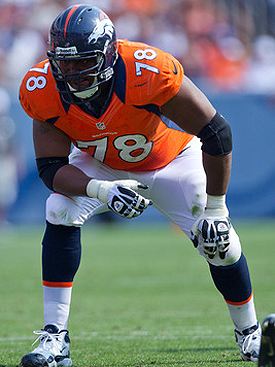 I thank him for everything he did for the Broncos and wish him all the best as he continues his career." I find this to be a very surprising release. Is this Elway and X-man not seeing eye to eye. Punishment for a poor draft or something else. This story may be more juicy than it should be. Either way we are going forward as Elway's team. No more EFX, just EF ~ Aussie. Finally a big news story involving the Broncos. Still I am a little surprised with this move but we will see where it takes us. Elway I think takes over some of the GM roles. Russell does the scouting and Sullivan the contracts. The best part of it is, no more EFX or FEX crap. Also heard we are looking at CB Florence. Wow, I'm not so much surprised that he got fired or is gone but at the fact that Elway has made some big questionable moves this offseason. I think I'm more surprised that right now there's no possible replacement or that Elway has no plans to replace him at all. Hey Princess. I agree some of the moves are very questionable. But we have a plan...I hope. Personally I like Hanie, he got a raw deal with the Bears just like any QB that has played with the Browns or the Raiders in the last decade. He has some talent. I don't mind the Osweiler pick but he must work or Elway will have egg on his face. The Tebow trade will be a sore spot for the Broncos' fans for a long time. As for the insanity...I love it! Haha there is never a dull moment being a Broncos fan. It keeps the offseason interesting while there is no football. And yeah TC is going to be crazy interesting this year. As for you and Jimmy going on a 'romantic trip away', sure go for it :P You won't have to worry but Jimmy would, having crap thrown at him all game haha. 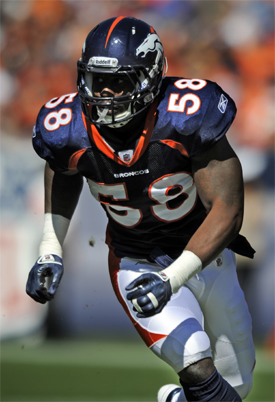 Wow we signed another new Bronco in CB Drayton Florence. Florence is an ok corner but did get torched some with the Bills. He will provide great depth though. He joins, Champ, Porter, Squid, Harris, Bolden, Vaughn and a host of other young guys and this is one of the better groups on the team. I think Champ, Porter make it. Harris and Bolden fight it out for the Nickel. Both should make the team. I think Vaughn is gone and Squid or Florence gets the last spot unless we carry 6 corners. I hope Squid wins it. I know you love Squid G, but it don't look good for him now. We sure have a lot of undrafted guys as young prospects at CB. I think Champ, Porter and Florence will start, with Harris and Bolden as backups. If we carry a 6th it will be a fight between Squid, Vaughn, Judie and Carter. I think Vaughn wins out of that group. Judie to PS. No problem with that from me. I say go to a game any way you can manage it. You and Jimmy will have a good time. Should be good weather and possibly right around Labor Day. Dammit I forgot about Judie, I think he makes the team too! Dammit, Squid has such a good nickname though! It will be an interesting TC and preseason.